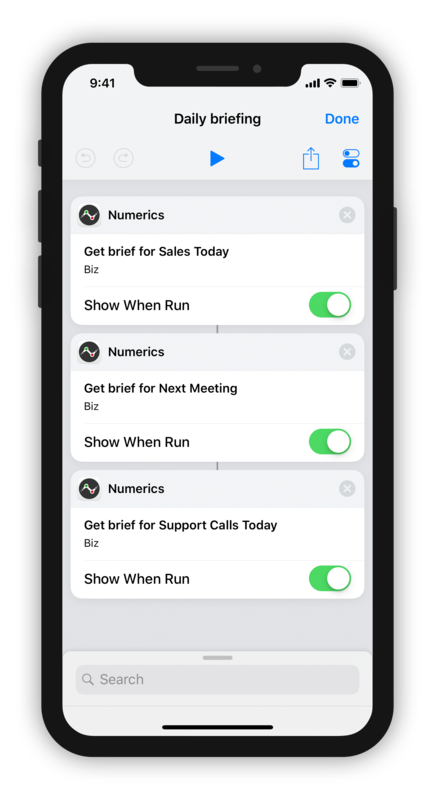 The new Numerics 6 integrates with Siri, adds 2 new visualization types, 7 new integrations and more, making the experience of tracking your metrics more responsive and delightful than ever before. Ask Siri for a brief of your favorite metric! 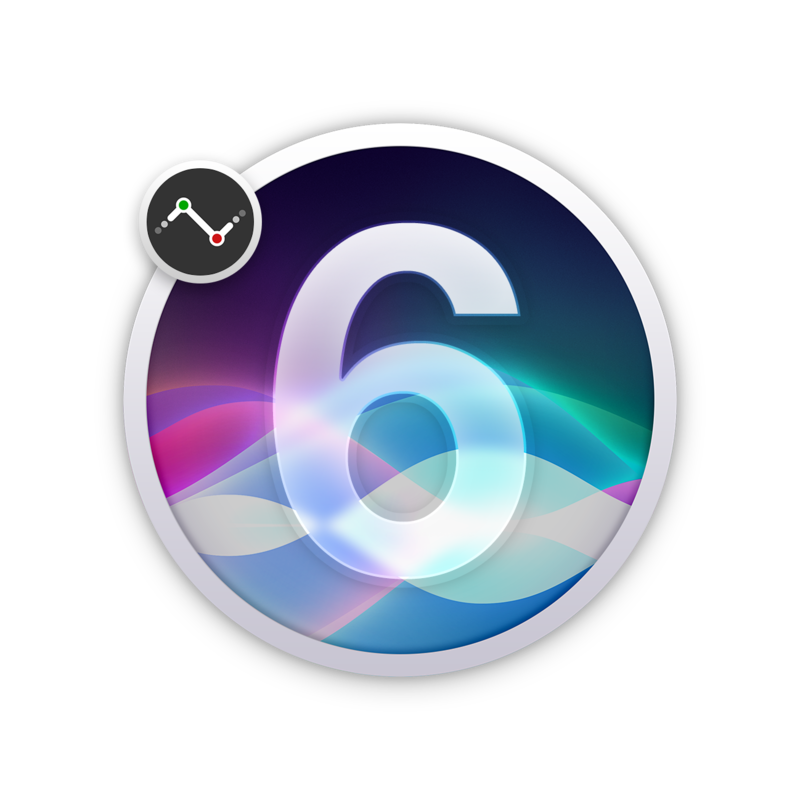 Record a personalized phrase to add any metric from your dashboard to Siri. 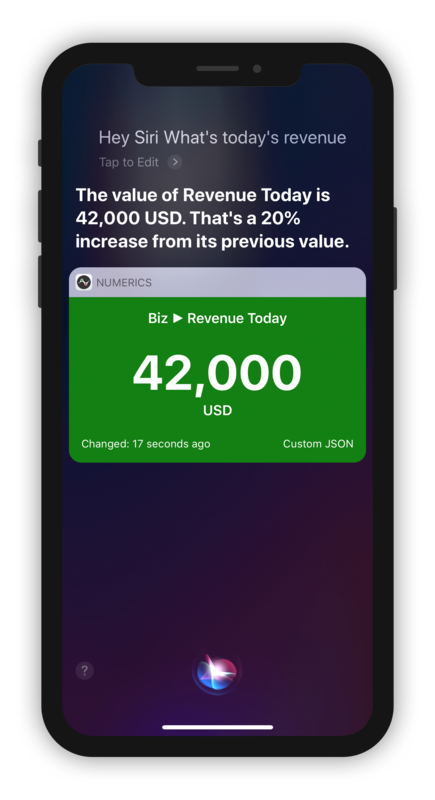 Invoke Siri with your custom voice shortcut to hear a brief of your KPI's latest values. You can also add custom phrases to view a dashboard or metric directly in Numerics. Design on-demand reports with Shortcuts app. 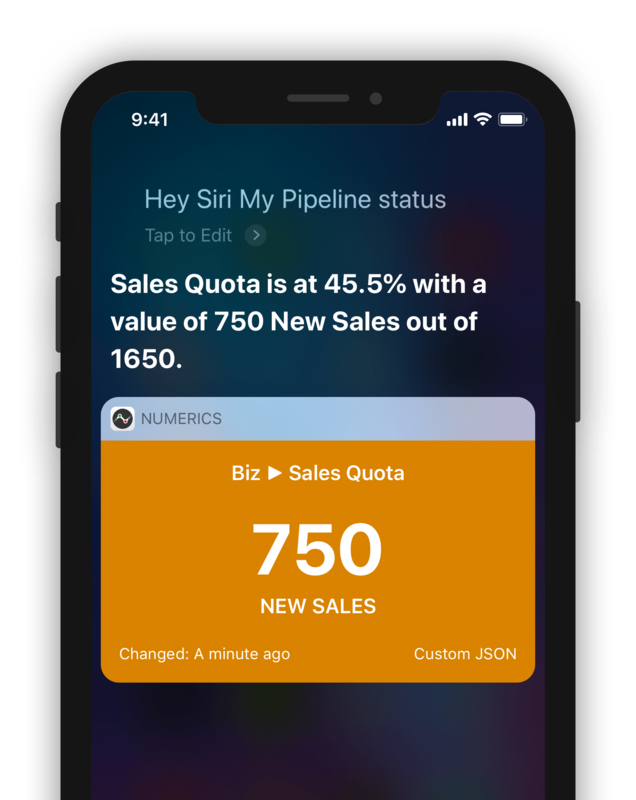 Combine multiple metrics setup across your dashboards to build custom spoken reports with the Shortcuts app. 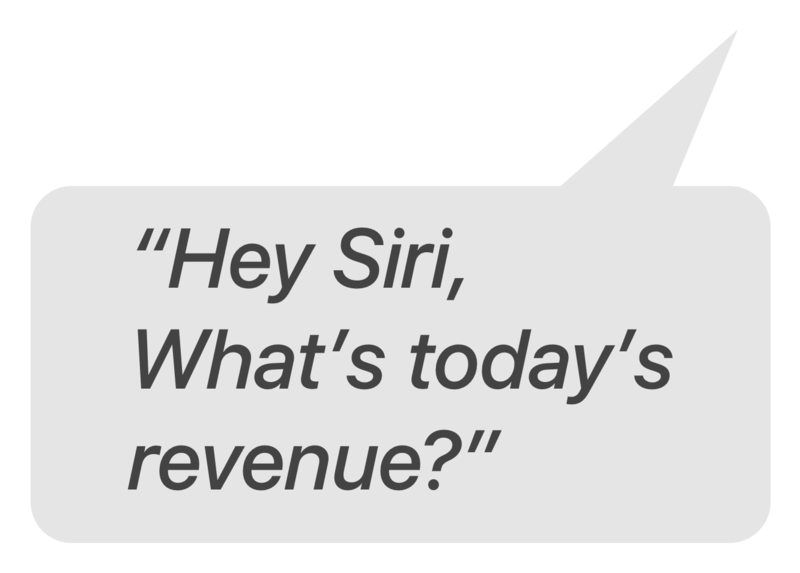 Say the words to run the shortcut, and Siri will get your latest numbers and read out the report to you; all without lifting your finger! Rich micro gauges on your wrist. Re-designed from ground-up, Numerics on the Apple Watch sports an all new design. 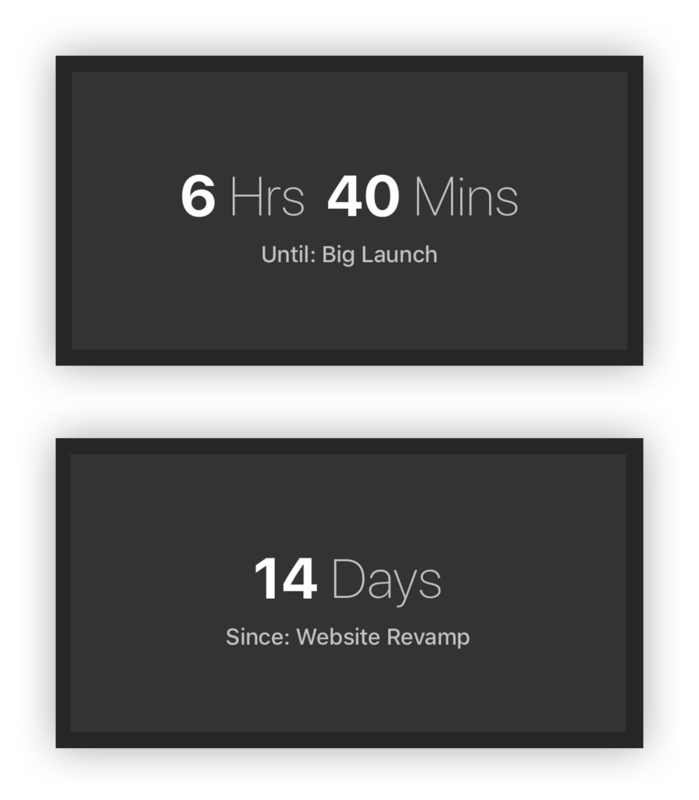 Beautifully structured metrics, rounded widgets and brighter colors make it a delight to use. Uniquely designed gauges for each metric help you visualize the metric in a quick glance. Lift your wrist to see your KPI progress. 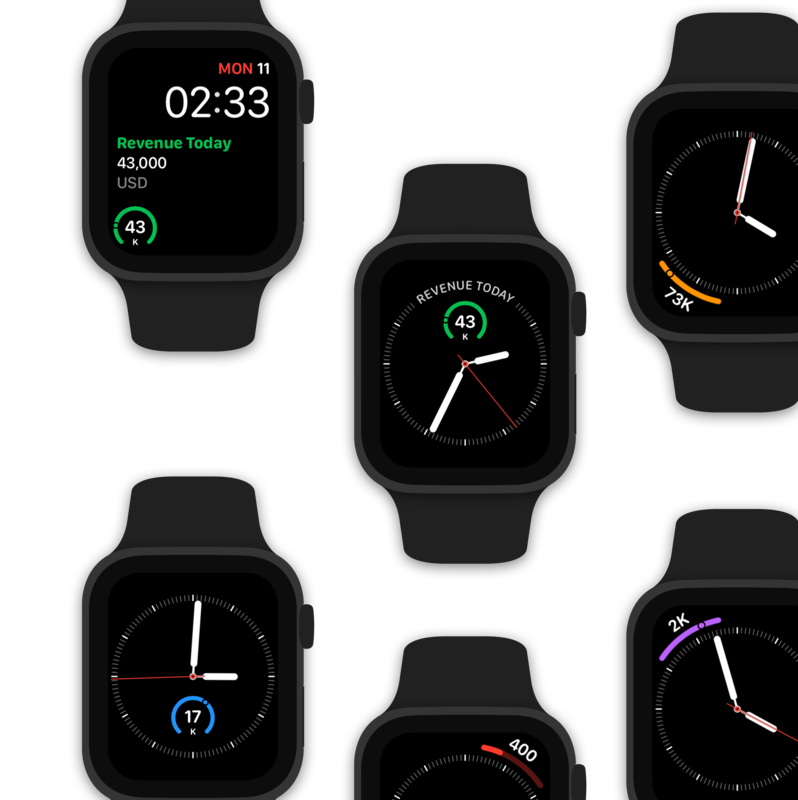 Numerics now supports all the complications on the new Infograph & Infograph Modular watch face. The carefully designed complication gauges give you a quick view of the progress along with the KPI value. 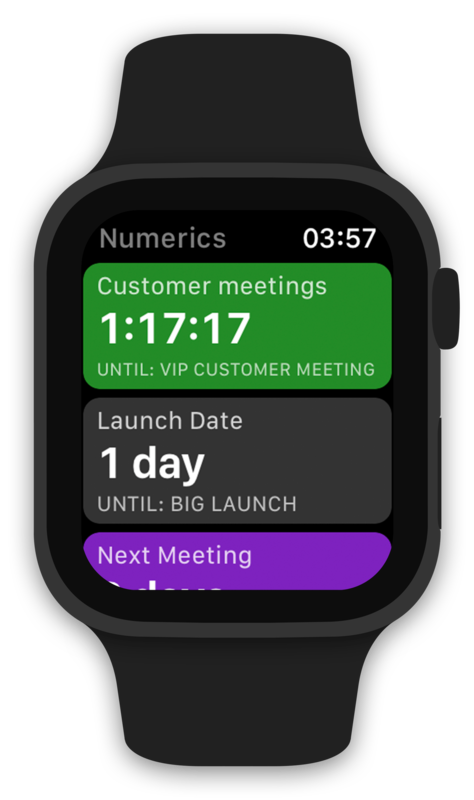 Re-designed to take advantage of the new dimensions of the display, Numerics for the Apple Watch works beautifully on all sizes of the watch. 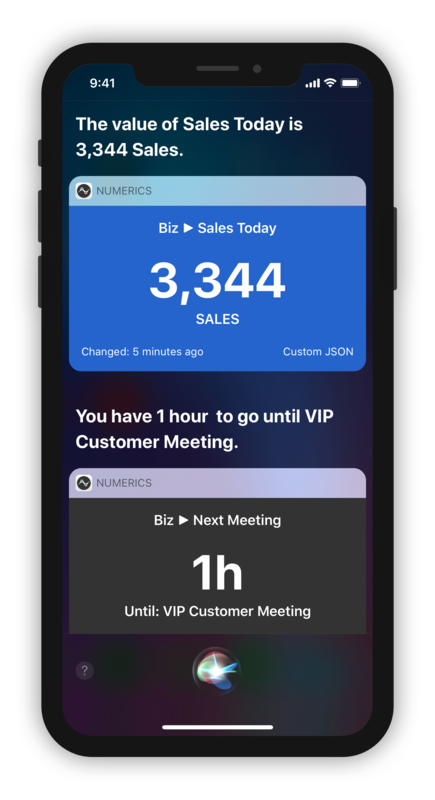 Voice commands setup for metrics on your iPhone, work on the watch out-of-the-box! 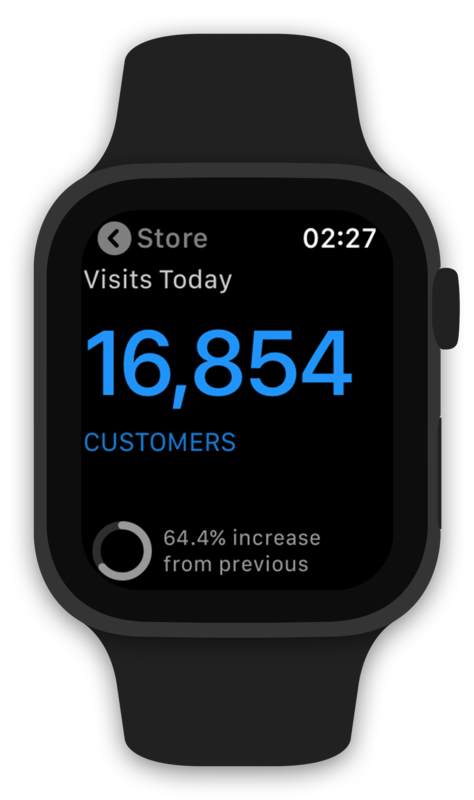 Ask Siri on the Apple Watch to give you the latest update on your metrics using your Siri voice shortcuts. Visually track progress with gauges. The easy to read gauge highlights the current progress achieved towards goals. 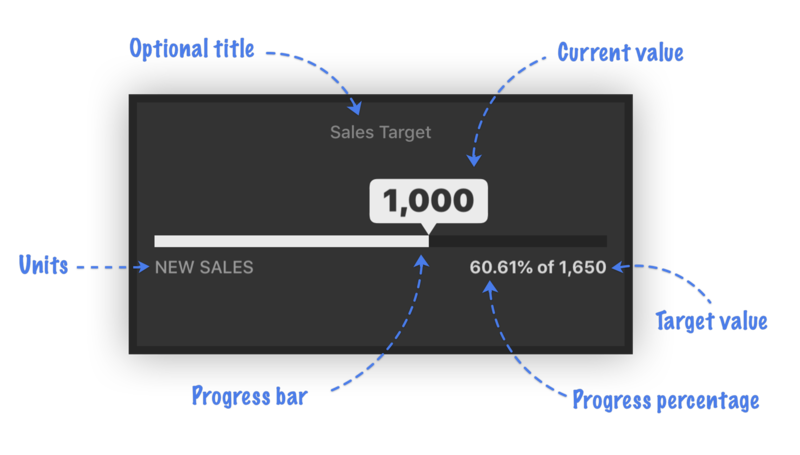 Use gauges to track sales & marketing goals, revenue performance or any metric with a defined objective. 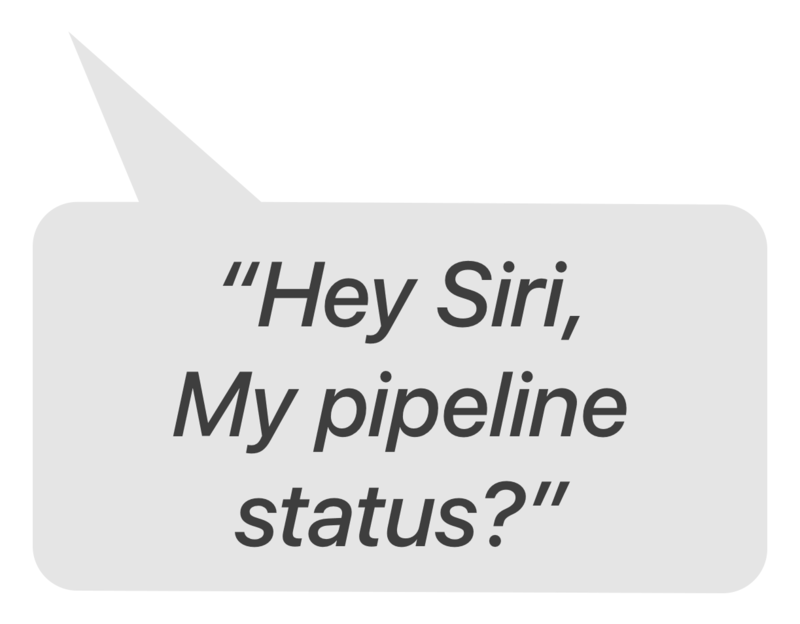 Uniquely designed to interface with Siri, the gauge visualization provides a comprehensive spoken brief of the current status when added to Siri. Say your personalized phrase and Siri responds back with the progress value and the percentage of progress achieved towards your goal. All without lifting a finger! 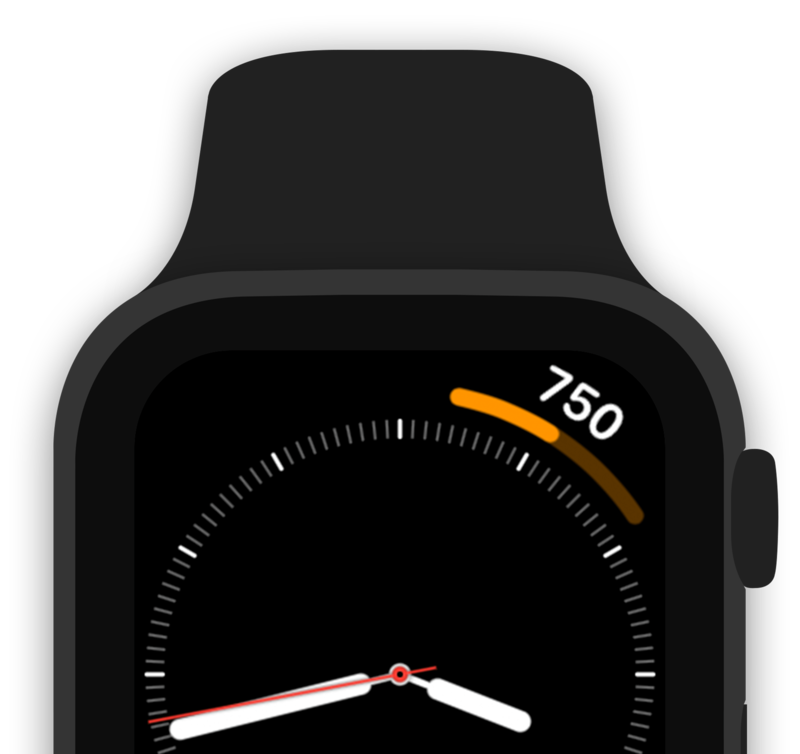 Add a gauge widget as a complication on the Infograph watch face to see your progress at a quick glance. Bring dashboards alive with timers. Track big goals and events in real time with count-up & count-down timers. The timer automatically adjusts the visualization to show days or hours based on the granularity of time passed or remaining to an event. Easy access countdowns from Today view. Keep an eye on time remaining for important events from your Today screen. Track events with live timers on your wrist. Add timer widgets to your watch to track your timers counting up or down to an event in realtime. All custom API integrations along with some other integrations now bundle the gauge and timer visualizations. Immersive dashboards on the iPad Pro. 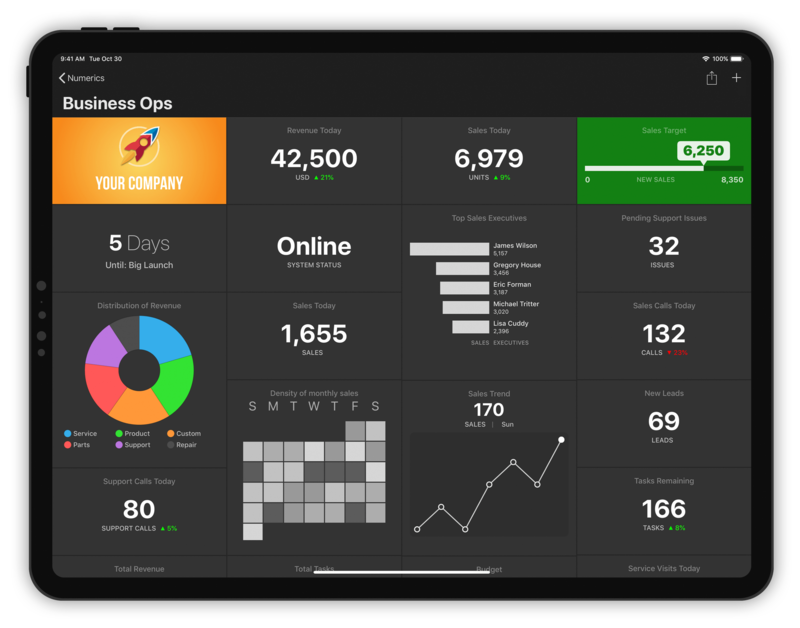 Get a full view of your business with edge to edge Numerics dashboards on the new liquid retina displays of the iPad Pro. Double tap to annotate or pan. Support for the new Apple Pencil enables you to switch between annotating and scrolling through it by double tapping on the Apple Pencil. Quick presentation mode lets you interactively broadcast selected metrics to the big screen, without showing your entire dashboard. 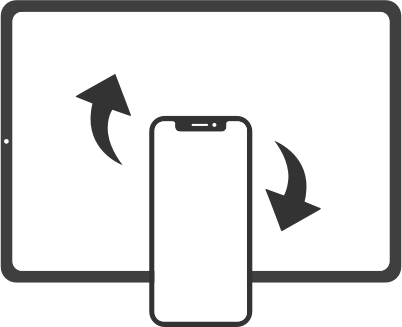 Stream selected metrics to TVs with Airplay support from your iPhone or iPad. Stream selected metrics to connected displays via USB-C from your iPad Pro. Move seamlessly between your devices with Handoff. With iCloud Sync enabled, switch to using Numerics from one device to another nearby iPhone, iPad or Apple Watch. Optimized for the larger iPhone displays. 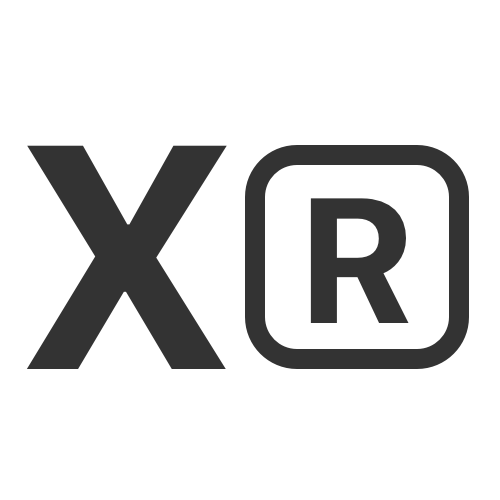 See more numbers on the new display resolutions of the iPhone Xs Max and Xr screens. Stay on top of project performance by tracking project progress, project tasks and more with the Asana integration. 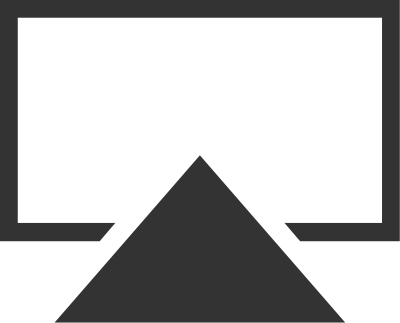 Keep an eye on your ARR, MRR, ARPU, customer churn rate and more using over a dozen pre-defined metrics with the Baremetrics integration.  Setup countdowns to your next meetings or specific events from your Google Calendar. Get insights into your website, app or e-commerce sites with over 25 pre-defined KPI widgets with the Hitsteps integration. Monitor your Linkedin company page followers, company updates and likes, all in one dashboard. Keep track of your Twitch followers, views and stream viewers on a single dashboard. Uncover relevant metrics from important data across Zoho Applications or custom databases connected to Zoho Analytics by creating effective dashboards using the new Zoho analytics integration. 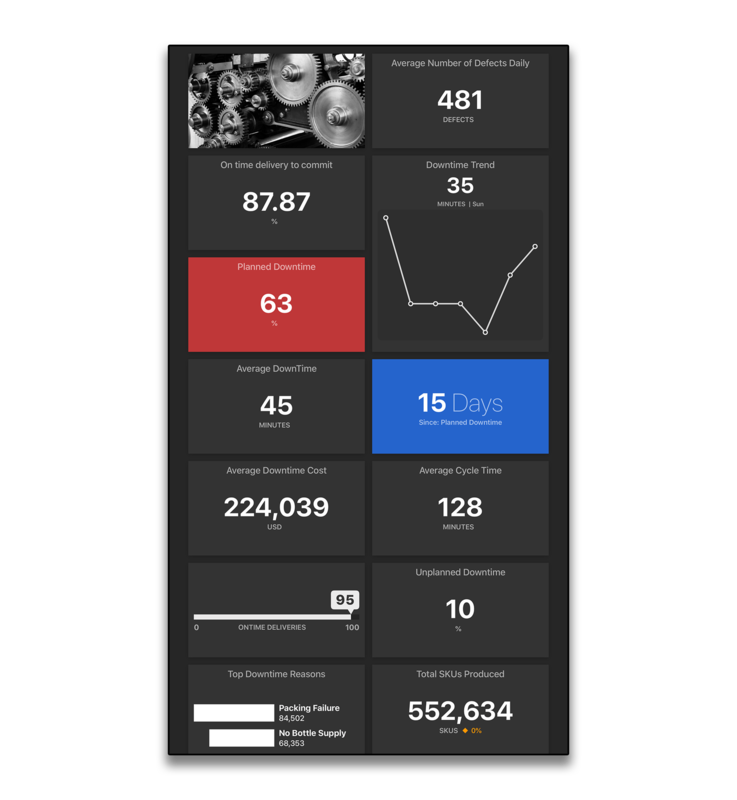 Display team dashboards in a vertical setting with the new experimental Portrait mode in Numerics for Apple TV with full support for Siri remote. Turn the setting on and hold the Siri Remote in landscape mode to navigate through the app! Accessible. Restructured Today view widgets with more appropriate post-fixes making them easier to grasp in a quick glance. Conextual. Restyled notifications with dashboard titles give richer context to the updated metric in the notification. Better Connected. Intercom integration now supports authentication using your Google login. Refreshed APIs. Updated WooCommerce, Salesforce, Pingdom, Wordpress, YouTube to support their latest APIs. Reliable. Re-engineered background updates ensure your numbers are always up-to-date on the watch complication faces and in the app.